Having opened in 1863, the London Underground is the oldest and one of the largest underground rail networks in the world. 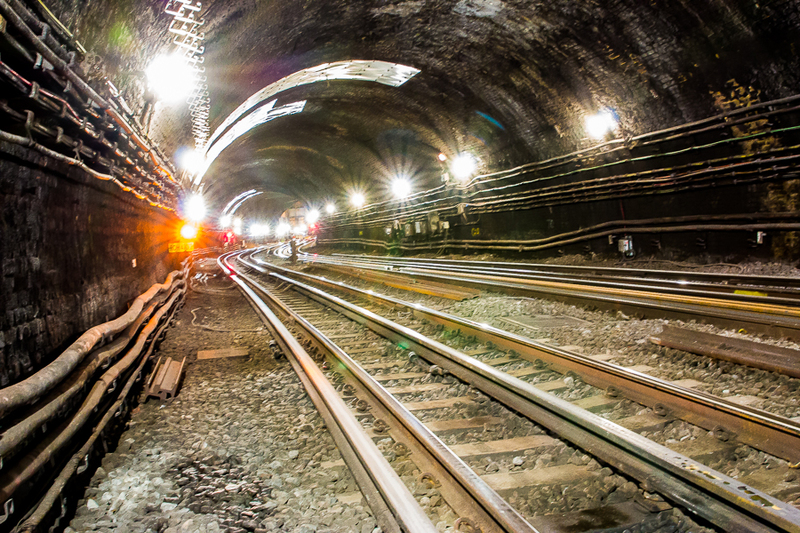 The London Underground is simply known as “the Underground” or by its nickname “The Tube”. The Underground is a public rapid transit system, at 402 km in length and split over 11 lines the Underground reaches 270 stations, collectively handling approximately 4.8 million passengers a day (1.379 billion passengers a year) making it the world’s 11th busiest metro system. 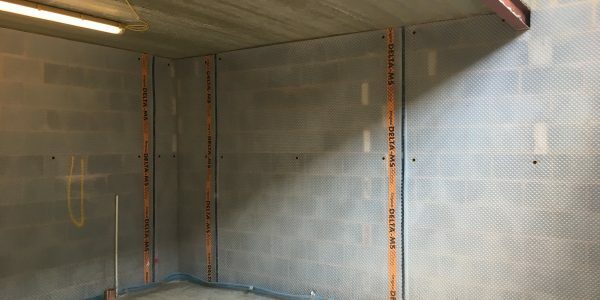 Koster sought to offer a robust system that would easily accommodate the stresses associated with tunnel waterproofing whilst being sympathetic to the aging construction. 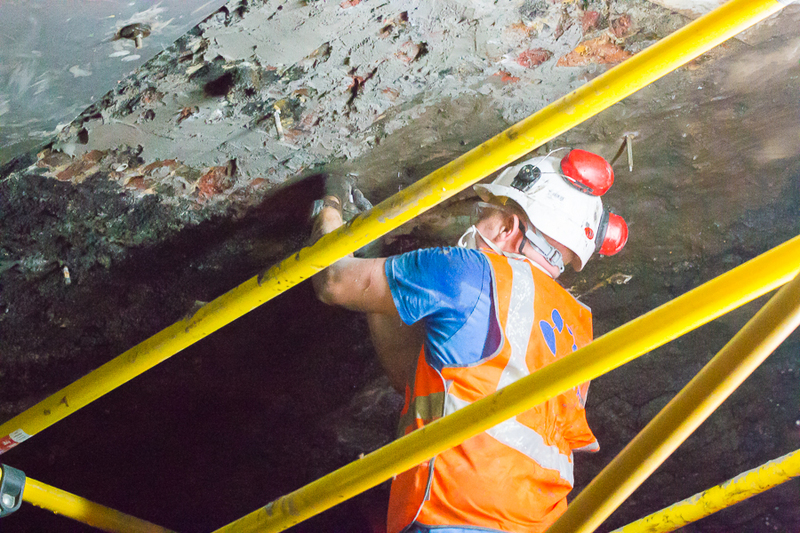 The construction of the tunnel is multiple layers of brickwork with an assumed tar or bitumen waterproofing layer externally. 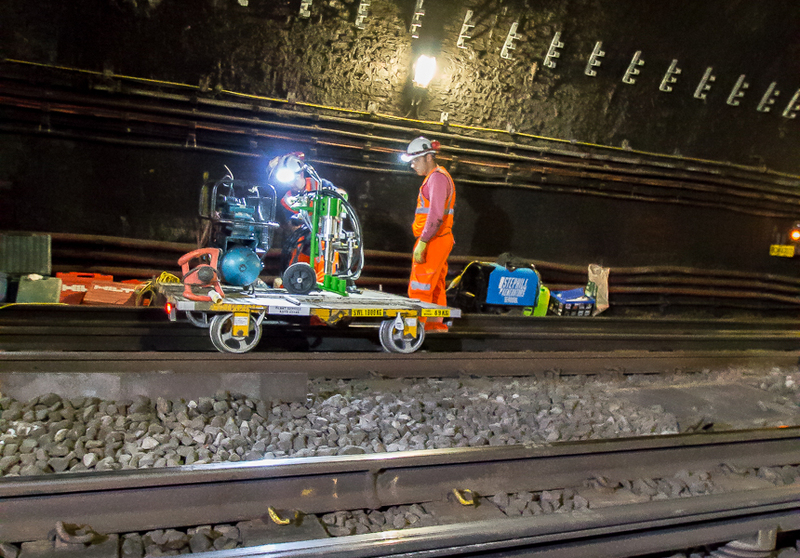 There was evidence of water seeping from the brickwork, stalactites, heavy salt and soot crust formations throughout the tunnel and a previous installation of injection packers which lined the crown. 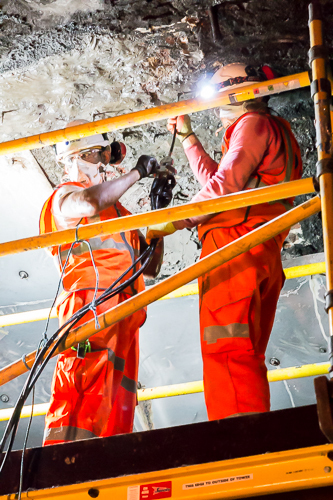 Prior to conducting a product trial, a close examination of the tunnel was undertaken. One area which was showing significant signs of water seepage (water ingress via the brickwork) was at the tunnel`s crown. This area had previously been highlighted within a report stating concerns for rails being “at risk” of corrosion. Prior to commencing any trial, POS Services Ltd coordinated with Transport for London to ensure that all work permits were authorised. Throughout the trial, appropriate Health and Safety regulations were observed. The areas of active leakage were evident (through old injection packer holes and badly pointed brickwork). 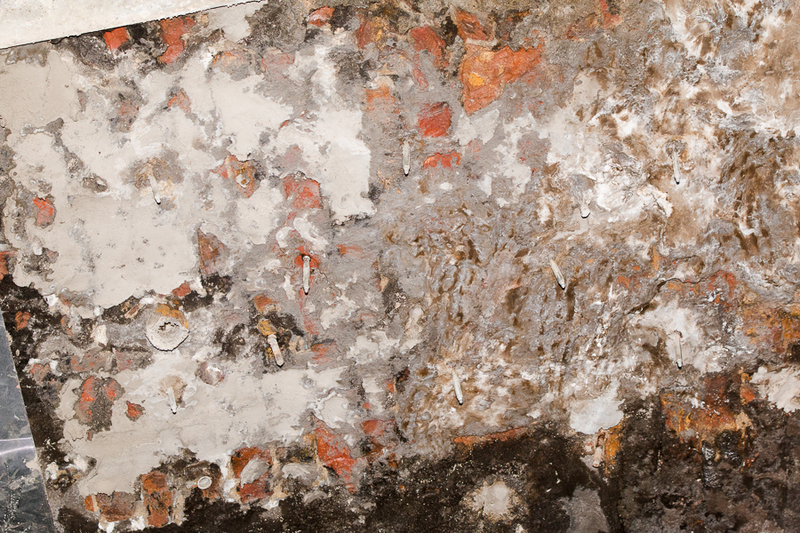 These areas of active leakage were initially sealed using Koster Waterstop and KD2 Blitz. Both products immediately prevented the passage of pressurised water. The second phase of the trial (once the area was free from running water), was to measure and mark out the borehole positions for Koster Superpackers. 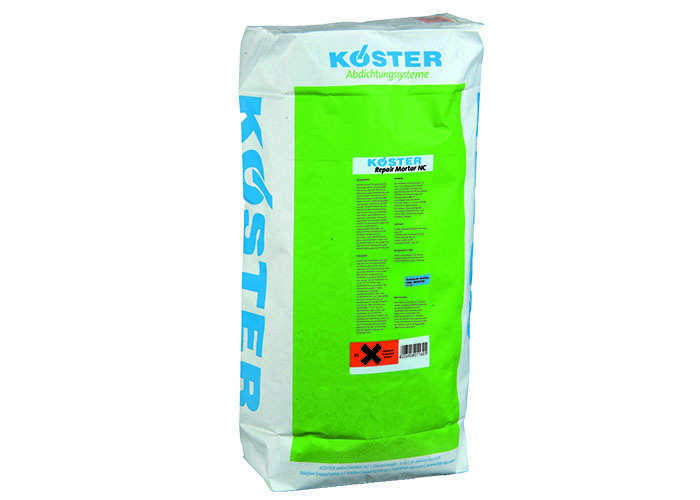 Koster Superpackers are small injection lances which have been specially designed to give a superior grip (within the boreholes) whilst delivering a constant flow of grouting resin. Identifying the correct injection packer placement is an important process. 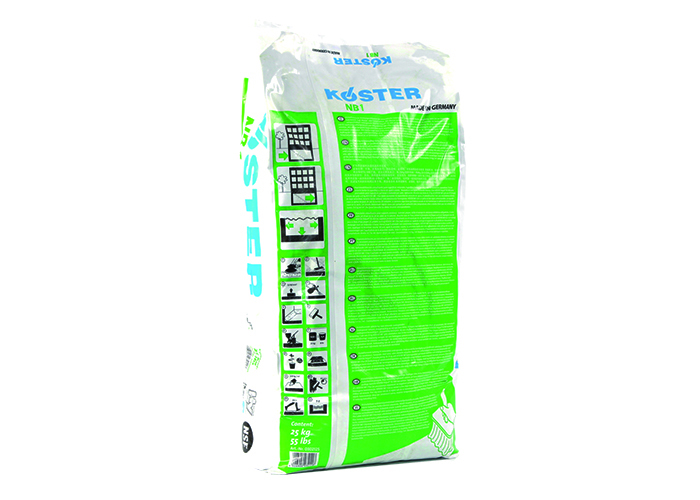 Koster specified the Injection ports to be placed at 400mm centres in a grid pattern, with a single packer positioned in the centre. 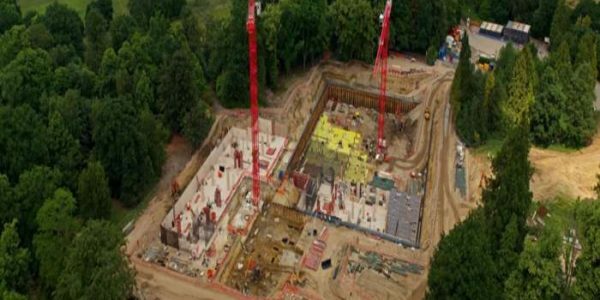 The boreholes were drilled to a pre-determined depth which would facilitate the packers. Koster Superpackers were then inserted and the area was ready for the Gel injection. 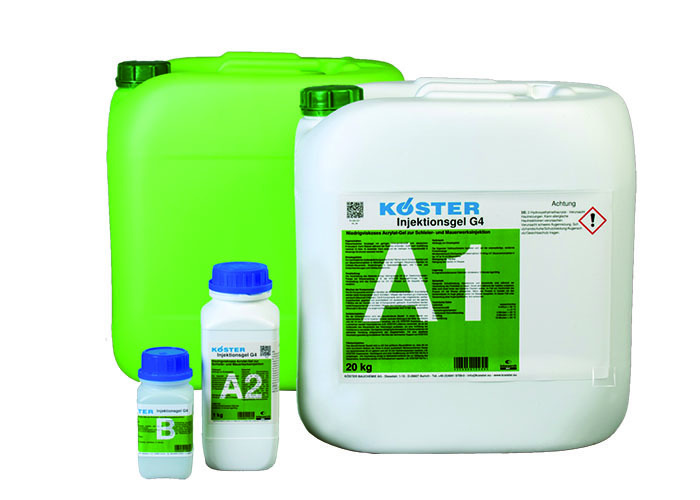 The material used was Koster G4 Gel (an acrylic based resin which has a similar initial viscosity to water). 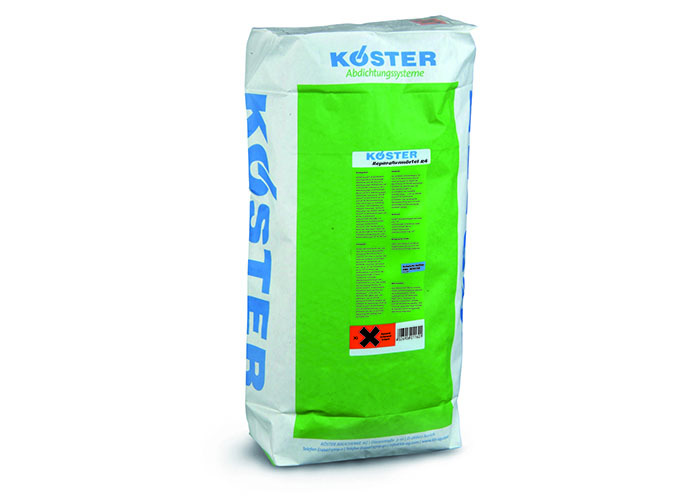 The Koster G4 Injection Gel fills the same minute tracks and veins that water follows when infiltrating the structure. When injected into pore structures, the Injection Gel G4 cures to form an elastic, permanent gel which is then able to move and flex within the brickwork. 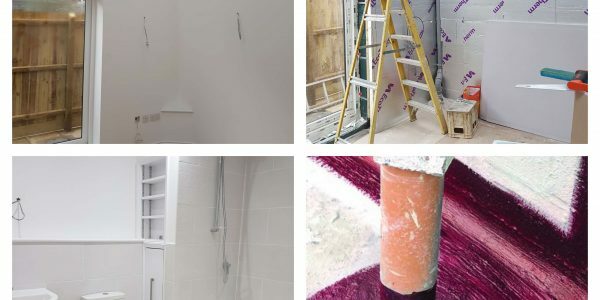 The G4 Injection Gel impregnated the full build-up of the brickwork lining (becoming part of the structure), protecting from future water ingress and its resulting damage. The G4 Injection pump was set up and operated from a rolling platform below the scaffold tower, allowing for ease of access to each packer during the injection stage. 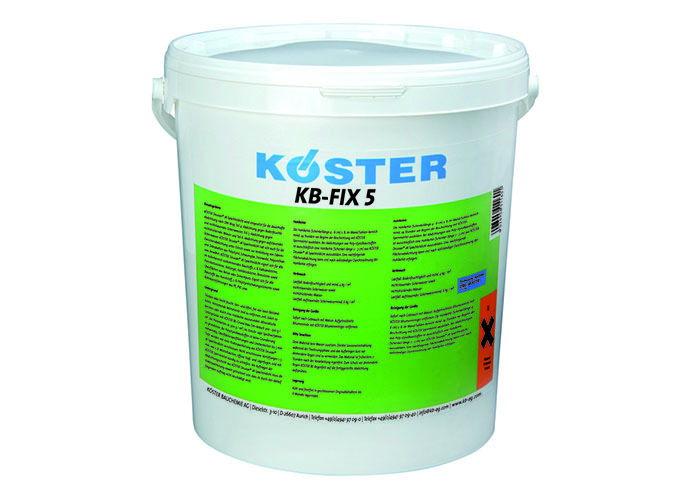 Following the injection phase, the Koster Superpackers were removed and the boreholes filled using Koster KB Fix 5 fast-set mortar. An elastic seal within the structure had been achieved without compromising the tunnel lining. 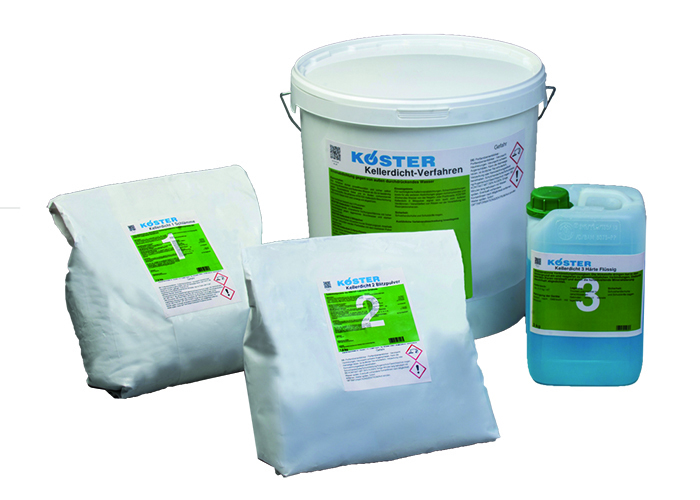 Within 15 minutes of the Koster G4 Gel being injected all water seepage from the brickwork slowed and ceased. Koster continued to observe the trial area, noticing that it was drying out. 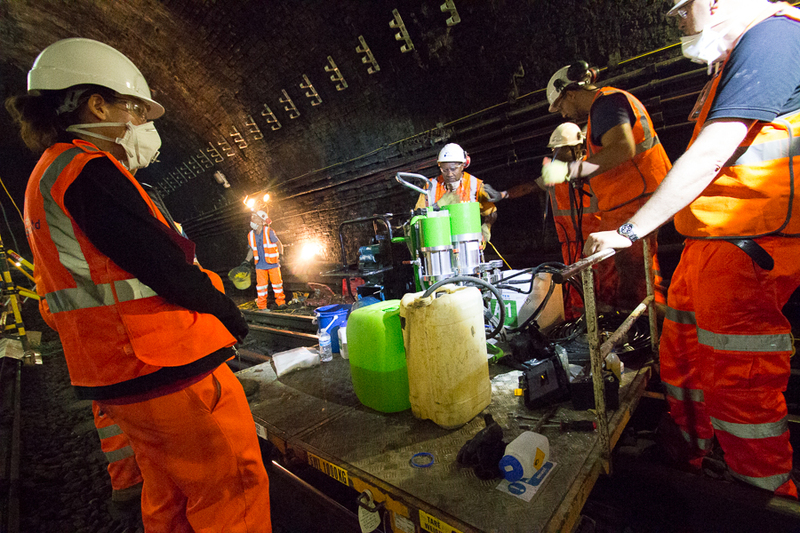 The water seepage stopping meant that the resin had “gelled” within the tunnel lining and sealed off all routes which had previously been allowing the passage of water. The following night (during Koster’s follow-up visit) the trial area was shown to be completely dry whilst the untreated brickwork surrounding the trial area was still wet with signs of seeping water.